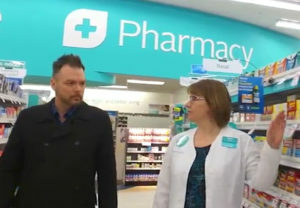 TORONTO — McKesson Canada’s Rexall chain is closing 40 outlets in Ontario and Western Canada, nearly one-tenth of its total store base, according to a memo sent to company employees. The closings come about a year and a half after San Francisco-based McKesson Corp. finalized the purchase of Rexall Health. They take place amid a challenging chain drug market in Canada, where generic drug prices have been dropping following stepped up government and insurance scrutiny. The memo spelled out a strategy including making the most of McKesson’s distribution channels and discerning the greatest value for its retail assets. In acquiring Rexall for $2.1 billion at the end of 2016, McKesson Canada picked up 470 pharmacies, while agreeing to divest stores in 26 markets that the Competition Bureau of Canada identified during its review of the transaction. Even after the closings, McKesson Canada will have around 2,100 stores, making it the country’s largest chain by store count. Last year it acquired Uniprix’ more than 330 stores in Quebec.